Tom Sima was born in 1932 in Hannastown, Pennsylvania. He enlisted in the U.S. Air Force on February 9, 1953, and entered the Aviation Cadet Program on November 2, 1953. Sima was commissioned a 2nd Lt and awarded his pilot wings at Williams AFB, Arizona, on January 18, 1955, and then completed F-86 Sabre Combat Crew Training. His first assignment was with the 36th Fighter Bomber Squadron at Itazuke AB, Japan, from October 1955 to November 1957, followed by service as an F-100 Super Sabre pilot with the 333rd Tactical Fighter Squadron of the 4th Tactical Fighter Wing (TFW) at Seymour Johnson AFB, North Carolina, from December 1957 to September 1959. 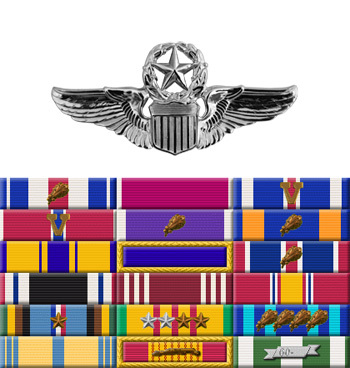 Capt Sima served on the staff of the 4th TFW from September 1959 to April 1962, and then served as Air Operations Officer with Detachment 1, 13th Air Force, at Taipei, Taiwan, from April 1962 to June 1963. His next assignment was as an F-105 Thunderchief pilot with the 36th Tactical Fighter Squadron at Itazuke and Yokota AB, Japan, from July 1963 until he was forced to eject over North Vietnam while deployed to Southeast Asia on October 15, 1965. Capt Sima was immediately captured and taken as a Prisoner of War, spending the next 2,678 days in captivity. He was released during Operation Homecoming on February 12, 1973, and was briefly hospitalized to recover from his injuries at Andrews AFB, Maryland. 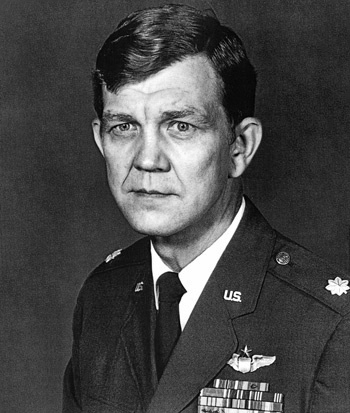 Col Sima attended Air War College at Maxwell AFB, Alabama, from August 1973 to August 1974, and then retired from the Air Force on September 1, 1974. Captain Thomas W. Sima distinguished himself by heroism while participating in aerial flight as an F-105 pilot over North Vietnam, on 15 October 1965. On that date, Captain Sima flew his heavily armed aircraft into hostile territory which was obscured by low clouds. Flying at tree top level and through mountain valleys he sought out his target. Upon arriving in the target area Captain Sima braved a withering wall of hostile anti-aircraft fire in an effort to deliver his bombs and destroy the designated target. The outstanding heroism and selfless devotion to duty displayed by Captain Sima reflect great credit upon himself and the United States Air Force.